It’s hard to know where to begin with this episode, there’s just so much to say. Gaiman writes exquisitely for Matt Smith’s Doctor and nailed writing for Jenna-Louise Coleman’s Clara in a way few writers have managed this season. 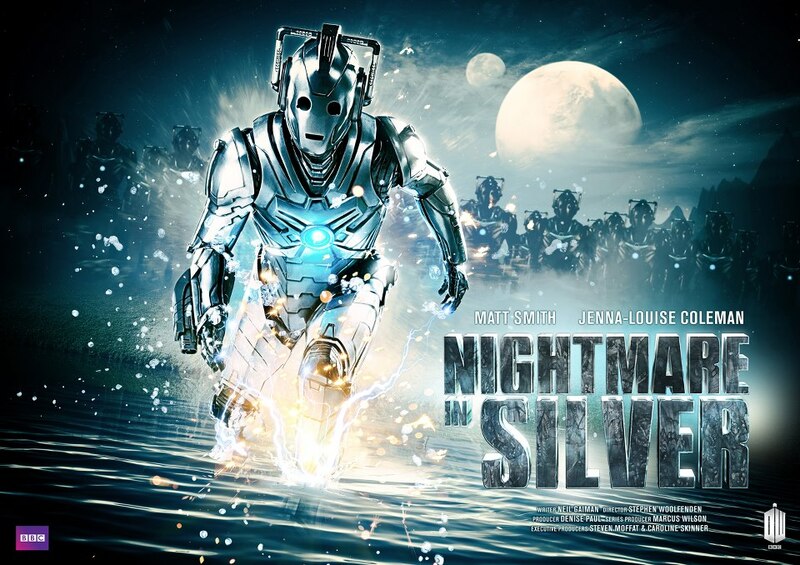 The revamped Cybermen are slick and futuristic, although lack a little of the menace that the recent Cybermen brought in their rougher metallic look. My main concern with the episode was the inclusion of the children, Artie and Angie, and while Matt Smith works wonderfully with children, this is where the episode fell down. Not only did the Doctor not spend a lot of time with the kids, the mood was too dark to have some of the banter we have seen in other episodes, and there was less time to explore any real connection with either Artie or Angie. Angie was far too brash and complained the entire episode, while Artie was far too frightened and didn’t do much at all before he was Cybermatted and spent the rest of the episode in a walking coma. Their relationship with Clara didn’t work either and they felt like a tacked on appendage to the overall story. In truth, they could have been cut completely and that would have made little difference to the story. The abandoned and destitute amusement park that the Doctor and his friends visit is actually the base of a Cyberman fighting platoon. We discover later that they are ill-equipped, having been sent to the planet as a form of punishment. The leader of the platoon doesn’t really add much value, which is a shame, but the other members, brief though their appearances may be, give the impression of young men and women who are both brave and afraid. They are a nice lighter touch to the darkness of the episode. The Doctor and Clara meet Webley, an entertainer, and Porridge, who seems to be his helper. They have many wax figures in their possession, including three old Cybermen who are presumed inert. Of course this turns out to not quite be the case, and little Cybermites activate the larger bodies and renew the war on humans. The Cybermites were fantastic and really added to the creepiness of the Cybermen in this episode, especially since their last outing in the sixth series episode Closing Time, which I adored. The children and kidnapped and taken to be upgraded. Porridge tells Clara of the war that his people have had with the Cybermen and the terrible lengths they have had to go to in order to survive. The Doctor leaves Clara in charge and goes off to rescue the kids. Here the two best parts of the episode begin. Clara gets to show some leadership and actually do something for a change, making tactical decisions and providing hope and inspiration for the group of rag-tag soldiers. She’s not half bad at it either and has some wonderful character building moments where the audience gets a glimpse of what the Doctor sees in her. 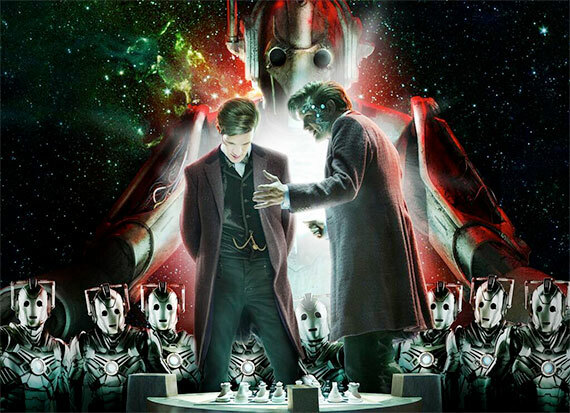 The Doctor gets possessed by a Cyberman upgrade consciousness and spends the majority of the episode flicking between the Doctor and the Cyborg Doctor. 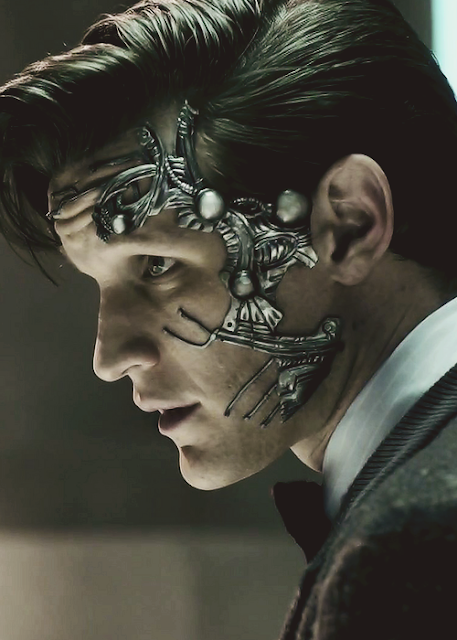 Matt Smith is excellent and it’s a treat to watch this darker side of his abilities. His intensity begs for an evil Doctor episode or perhaps an episode with a much darker version of his Doctor. The flashes of all ten previous Doctors in the Doctor’s mind were a fitting way to ramp up towards the 50th Anniversary and made me very excited. As events unfold we see some really authentic moments between the Doctor and Clara which have been missing from the season thus far. Clara trusts the Doctor but not in the sense that previous companions in the new series have trusted him. She doesn’t think he necessarily knows what he is doing, but she trusts that he will try and that she too, will do her best. I like that. There’s less absolute and unwavering trust and more human confidence in the Doctor’s ability to always do the best possible, as well as her own. The Cyber Doctor tries to woo Clara by telling her how pretty and smart she is and revealing, if only for a second, the allure that the Doctor provides to most of his companions. It’s not so much a romantic moment but a desire for approval, for the Doctor to think she is worth something, that he didn’t chose her just because she happened to be in the right place at the right time. Clara pulls herself awake in an instant to slap the Doctor and awake his real self. The Doctor also trusts Clara a lot more to manage herself and to help the people around her instead of fretting that she won’t be okay. They have a strange friendship, an uneasy relationship, and this episode beautifully portrays that. Porridge is revealed to be the emperor, which was a great little twist, although the signs were clearly visible from the beginning. He saves the day by arming a planet destroying bomb and beaming the group to safety. He also proposes to Clara, saying that she is both beautiful and intelligent and could make ruling easier. This validation is a good thing for Clara, but moreover, I like her stopping the Doctor from helping and saying that it is between her and Porridge. She says no of course, but in her way and on her terms. Again, the common theme of who Clara might be is brought up to no real end other than to remind us perhaps that we should be thinking about it. What I have hated about River Songs plot, aside from the unnecessary complexity that resulted in a very poor product, is the complete lack of clues along the way before any ‘reveal’. I think this has been the same with Clara’s story. Some real Gaiman humour is spattered throughout the episode and the colours and settings have his signature look. I particularly liked the Doctor’s little slip at the end about Clara’s skirts always being a little too tight, said as an observation and then quickly resulting in the Doctor being mortified at where his mind is straying. These atmospheric elements are something I think Doctor Who greatly benefits from and I really look forward to more of his stories. Next week’s trailer looks awesome. Enough said. Let’s bring it home and hope it doesn’t disappoint!